This night cream delivered amazing results. After only using it a few days my skin felt noticeably smoother and hydrated. 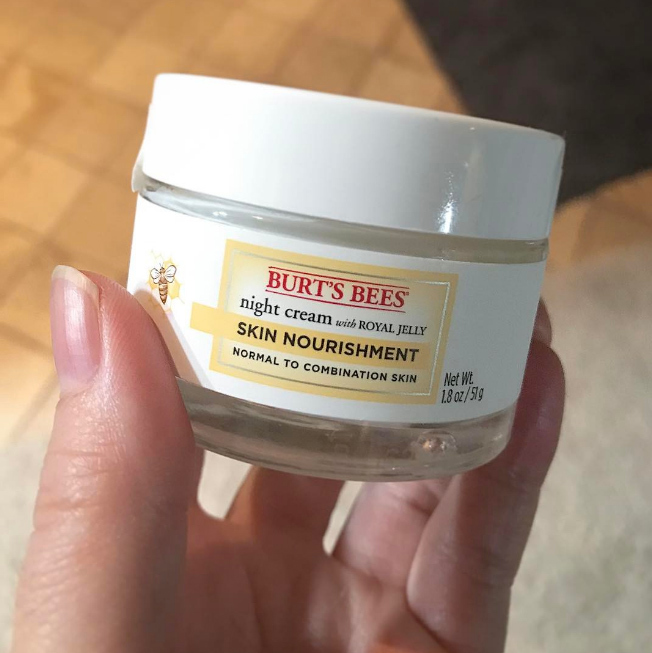 Most night creams are so heavy and seem to clog my pores, this one was not. It contains a product called Royal Jelly! Royal Jelly is one of nature’s most nourishing superfoods and contains all 3 macronutrients, as well as antioxidants, vitamins B2, B6, minerals, and essential amino acids. What sold me on this product was the fact that its all natural, so when I’m kissing on my baby’s cheeks or tummy it won’t harm her. I’ve made it a mission of mine to be mindful of what I put on and in my body. There are so many harmful toxins out there and the skin is the largest organ of the body. Why not use products that are safe?! What’s your night time regime? I would love to know!